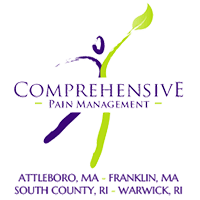 The pain and wellness center located in Franklin MA, Attleboro MA, Warwick RI, and South Kingstown RI features a welcoming reception area with comfortable chairs, a plasma television and a comforting and pleasant environment. You will be treated in one of our newly built exam rooms with the latest diagnostic equipment. We have created this Patient Resource Center where you can access everything you need to get started!